Happy Friday everyone, I hope you've been enjoying the sneak peeks of the new collections by Graphic 45 this week. Amazing once again Diane. I'm looking forward to seeing and creating some new projects and albums with them when my new, apparently huge box of goodies arrives from Portland. Today the Come Away with Me paper pads and embellishments are being revealed. To go over and take a look click here. My card above is also being shared on the G45 blog today. It's one of the ones I made back in December for CHA, and managed to post over in time for it to share a place on this years amazing booth. 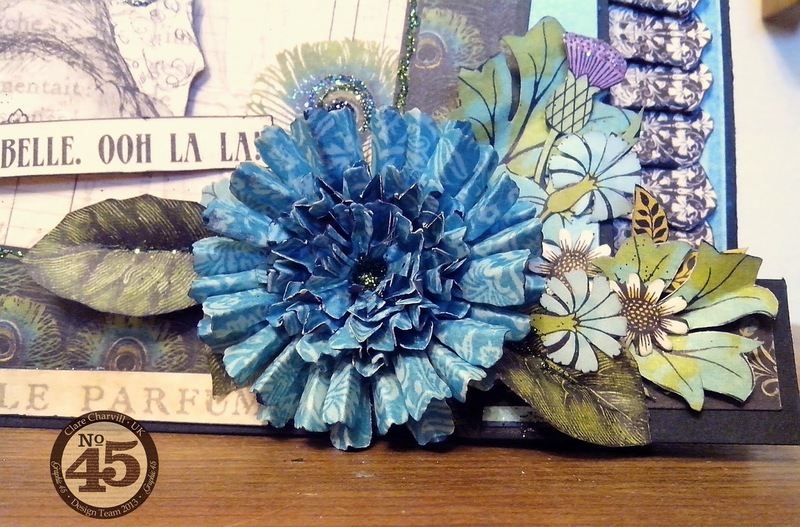 I adore the peacock colours in Couture Collection and based the card around them, adding some seriously fussy cut flowers from the 12 x 12 Gorgeous papers to finish off the floral embellishment. My latest By the Sea Album is finished and available to view by clicking the video below. There's also an on line workshop available to go with it if you'd like to make one yourself ahead of your summer hold. To order, click here and then click the link to the On Line Workshop link at the top of the page. I'm down with Isobel at Scotch Lodge Farm today to run a workshop and then over to run one for Wendy & Jeff at Daisys Jewels and Crafts on Saturday. Looking forward to seeing you all ladies and gent. Hi Clare, I love,love, love your work, everything you do is stunning and it's lovely to see you live on you tube. Could I ask a question?? where can I buy the chip board that you use. Beautiful Clare! Love those flowers. Good Morning Clare!! 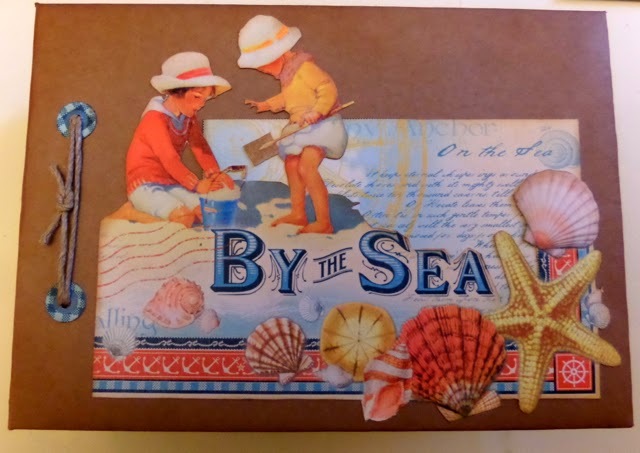 Love, love, love the video on the By The Sea Album, can't wait for the papers to come in to my shop!!! You have so many good ideas and give us all such inspiration, thank you for sharing! I hope you have a great weekend teaching the ladies and possibly gents some of your wonderful techniques, etc. Look forward to the next one!!!! 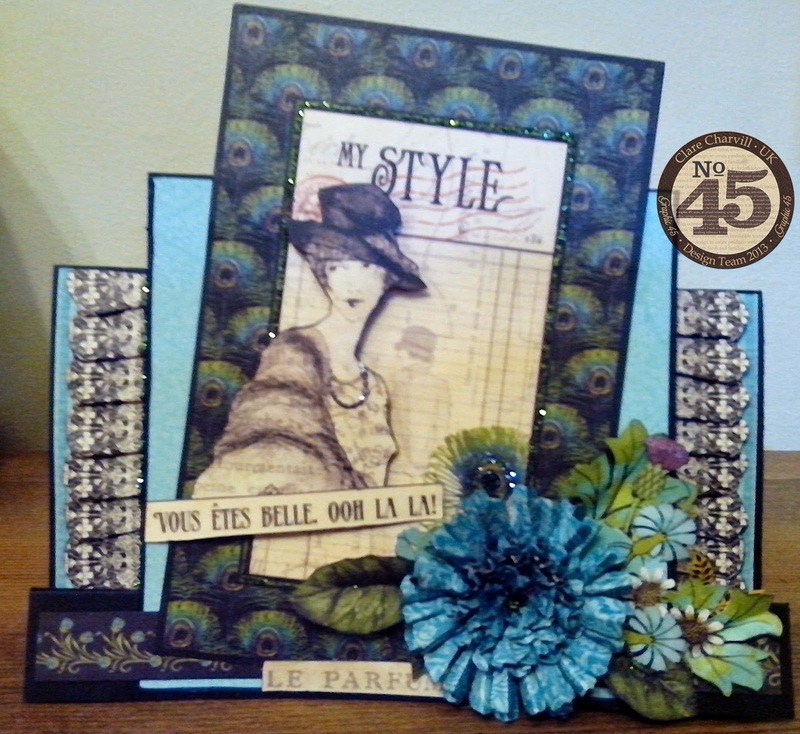 Hi Clare, A truly gorgeous card, I love the Couture collection. I have been entralled this week with all the sneaky peeks of the new paper collections, they are gorgeous. Here's hoping your day went well and that tomorrow goes equally as well.